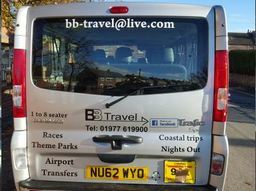 WE ARE 24HR AIRPORT TRANSFERS ,COASTAL RUNS,RACES,THEME PARKS.NIGHTS OUT,ANY OCCASION. BB travel has established a good reputation for been professional and reliable for mini bus hire, private hire and we do a 24hr airport transfers. 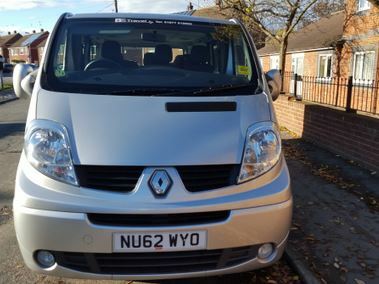 We have a spacious estate car for smaller groups and a comfortable mini bus for up to 8 people travelling. We do ferry ports, theme parks, race days, airports, private parties, nights out, hen do's, stag do's, theatre trips, cinema evenings, coastal days, cities trips, contract work and much more. WE PRIDE OURSELVES ON BEING VERY COMPETITIVE ON PRICES.MANCHESTER A/P STARTING AT£125 ALSO EAST MIDLANDS AT £125.FOR A CAR. 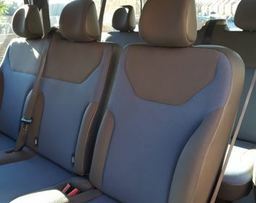 SO PLEASE GIVE US A TRY FOR A FRIENDLY QUOTE.ALL VEHICLES ARE FULLY INSURED AND DRIVERS ARE BADGED . Testimonials are curated by B B Travel and are not independently reviewed or verified. "Excellent service to airports including accommodating larger party going to airport and then all coming back at different times. So multi pickups for return but all went smoothly and can highly recommend BB Travel as friendly and courteous and will be using again."